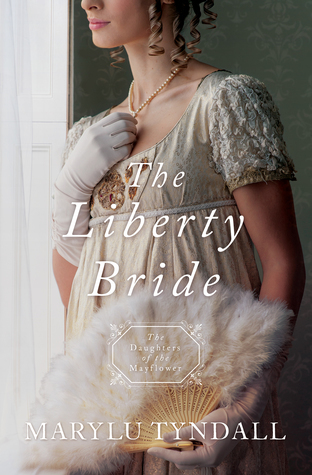 The Liberty Bride (2018) by MaryLu Tyndall is the latest novel in the Daughters of Mayflower series published by Barbour Publishing. This novel comes in all forms including eBook, and is 256 pages in length. With a full-time job and a very lively six-year old, this book took me two days to read. I received a review copy of this novel in paperback form and in eBook form from the publisher, Barbour Publishing. In no way has this influenced my review. The opinions expressed in this review are my own. I give The Liberty Bride 5 STARS. This novel is a Historical Christian Romance. Are you bored? Need something AWESOME to read? Then run to your nearest bookstore, or click over to an online store where books are sold, and purchase a copy of The Liberty Bride by MaryLu Tyndall today. This book is so good I could not put it down. The Liberty Bride is highly engaging on two fronts: the dramatic irony is superb and allows the pacing of the story to flow really well, and the history is fascinating — why didn’t I learn about the War of 1812 in high school? I enjoy a novel that tells its story via the hero AND heroine of the book. I am a big fan of knowing as much information as I can possibly get. Dramatic irony is when the reader knows info that characters do not. In this book, dramatic irony is used so well. Because I know all the info about Emeline and Owen but they don’t, I was constantly in suspense. When will Owen get it? Will Emeline ever learn what I know and change her actions?! These questions kept me turning pages late into the night way past bedtime. And the history! I am ashamed to admit it, but I know very little about the War of 1812. I have not had good history teachers, which means I have had to teach myself via the historical fiction novels I read and the Google searches I’ve performed. The Liberty Bride is a treat in that I learned a ton of history about the War of 1812, and was never once bored. Why couldn’t my former history teachers ever teach me like MaryLu Tyndall has?! It is clear that the research in this novel is excellent and Mrs. Tyndall had a great time writing this book. There is a moment in The Odyssey where Odysseus is so close to home he can almost touch it, but one of his ship’s crew members does something that causes Odysseus to become VERY far from home in the blink of an eye. It’s one of the saddest moments in all of The Odyssey. In The Liberty Bride, Emeline has spent the past two years living in England with her great-aunt. When her aunt dies she is put on a ship and sent back to America, but before she can reach home — literally right at the coast — Emeline’s ship is overtaken by a British warship. Emeline was initially excited about leaving her home in Baltimore because she wanted to experience a fantastic adventure away from home and away from the strict rules of her father, but things change with time. In the present day, being stuck as a prisoner on a British war ship miles from her homeland’s coast, Emeline realizes that home is precious, and one needs to be grateful for what she has before it is stolen away. This is a fantastic reminder especially as we enter into this holiday season. Now is not about what we have and what we don’t, or who we want to be with or who we don’t. Now is about celebrating Jesus, His birth and sacrifice, and appreciating all He has given for us. Put away the small stuff and appreciate what you have. You never know when you might not have it anymore. Emeline has a poor relationship with God because of her earthly father’s model. Emeline’s father, as stated above, was a strict one. He was a man of steadfast rules and guidelines, and Emeline did NOT meet with his rigid expectations. Because of this, Emeline has ALWAYS felt like a failure. She can do no right, and God is the One who punishes her harshly every time she breaks one of her earthly father’s rules. When one is raised by an earthly father who is more involved in what he wants than what God asks, and then bad things keep happening to the child, it is really hard to see God as a loving, caring, nurturing Father. BUT God IS a GOOD, GOOD Father. There’s a fabulous moment in the novel when Hannah, Emeline’s friend and companion, scolds Emeline a little by stating, “God is not like your earthly father, my dear. The sooner you believe that, the sooner you will find peace” (100). This is TRUTH! This is not to say all earthly fathers are inherently bad. But, all earthly fathers are just that — earthly. God is NOT earthly. He can do abundantly more than all we ask or think. Knowing this, admitting this, and separating God our Father from our earthly fathers will bring about His great peace, something Emeline eventually comes to realize. The Liberty Bride is a fantastic novel. The plot is fast-paced and highly engaging, the characters are excellently illustrated, and the history is fascinating. 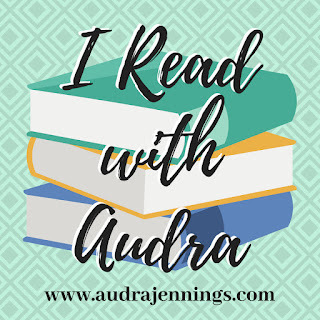 If you are looking for a book filled with adventures, a dashing hero, and a brave and never-boring heroine then I highly recommend The Liberty Bride. This is a fun book not to be missed. I am giving away ONE (1) paperback copy of The Liberty Bride by MaryLu Tyndall. The giveaway begins today, 12-3-18 at 5:00 am (PST) and ends on Thursday, 12-6-18 at 12:00 pm (PST). To enter, click on the Rafflecopter link below. Good luck! I’m not surprised at all. Mary Lu’s writing is what got me excited about Christian fiction again, years ago because of the fast pace and imperfect, compelling characters. This was only my second MaryLu book that I’ve read. I loved this book!! Do you have a recommendation, Debra? I have a couple of the books, but haven’t been able to start them yet! The whole series looks amazing! Abby, you’re in for a treat. This series is excellent! I have enjoyed this whole series so far, and can’t wait to read this one! Oh! You’re in for a treat!!! I like a fast-paced, engaging story. Thanks for your review! Thank you for your review and great information on ” The Liberty Bride” by MaryLu Tyndall. Sounds like a wonderful book and one that I would really enjoy reading. Appreciate the chance to win a copy! I haven’t read any of the Daughter of the Mayflower novels YET but would love to! Lovely review! This series just keeps getting better and better! Hi! Would love to win a print copy! Looks good! Thanks, again, for a wonderful opportunity to enter a giveaway! God bless and Merry Christmas! Thank you so much for such a lovely review!!! Made my day! And thank you all for your interest and kind comments. 🙂 What a blessing you all are. I have not read this series yet. Love your review, though. The cover of this book is so pretty. I think it’s perfect to read over Christmas break! Thank you! The cover is pretty. And, you’re in for a treat. This series is awesome. Wonderful review!! I enjoy reading MaryLu’s books! I haven’t read any of the Daughter of the Mayflower novels yet.